According to some records, the first bow and arrow were used in 50,000 B.C, which makes archery one of the oldest sports in the world. Unlike others where everything comes naturally, the archer’s performance is in direct relation to his or her levels of endurance, strength, and coordination. It’s no wonder that archery has survived so many years and has, in some cases, even been considered a competitive Olympic sport. Whether you intend to brush up your skills and become a hunter or you wish to acquire a certain degree of expertise and join a competition, you may want to consider the following seven health benefits of archery. As an archer, there are three main things you ought to concentrate on. The first and obvious one is the target, the second is its form, and the last is managing to ignore all distractions from the environment. To make the best of your practice, you need to stay focused, remain calm, and handle high-pressure situations as best as possible. It’s no denying that, when practicing a proper draw, you’ll rely on the muscles in your arms, chest, core, and shoulders. In a way, archery shooting is like lifting weights as you will have to be able to hold your draw for several seconds at a time to make sure that you aim both correctly and efficiently. The more you practice, the stronger you’ll be. Coordination can be improved only by practicing on a regular basis, but balance is crucial if you’re focused on your archery success. The body must remain as still as possible when aiming and making a shot. That is why you will eventually have complete control over your body’s balance so that your shots are more and more accurate. Archery is, in itself, an exhausting sport as drawing a bow for as little as thirty minutes can help you burn up to 140 calories. Doing so for an hour on a regular basis can be the equivalent of a decent gym session where nothing exciting ever happens. With a more polished technique comes higher self-esteem. 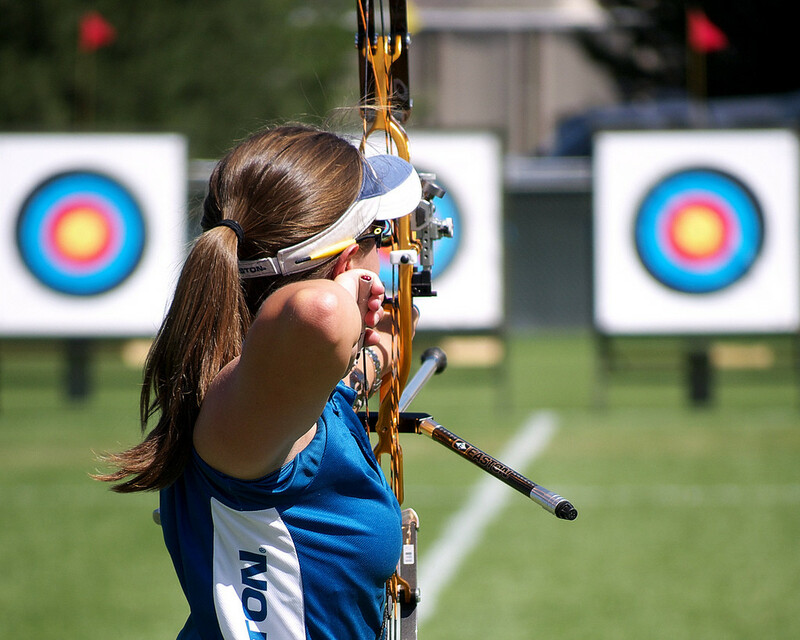 Whether you’re competing against yourself or others, it’s no denying that archery can help you become more confident about your bow shots, especially if you can commit to practicing at least twice to three times per week. Archery has a favorable impact on your wellbeing and mental health as it requires you to clear your head so that you’re part of the moment so that you become one with the arrow. You’ll learn to strive to aim precisely, which in turn will teach you how to overcome distraction, as well as procrastination, and even develop your organizational skills. Above all, archery is a social sport as you will need the assistance of a well-versed archer when you’re just starting out. Some competitions rely on teamwork, in that groups of archers with ages ranging from 6 to 80 must work together for achieving the same goal, just like our hunting ancestors used to.